RFIQ™ tags are simply D-Tech RFID tags pre-programmed to a 'returned' security state for use with a D-Tech RFIQ™ system. 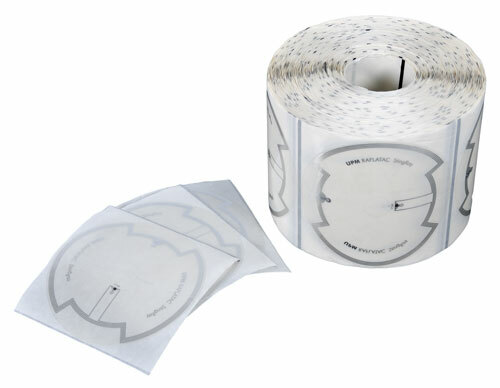 This means your DVD or CD will be protected from the moment you apply the tag. Should you upgrade to a full RFID implementation at a later stage, the tags are fully compatible and re-tagging is not required. D-Tech RFID DVD / CD media tags are manufactured to the highest standards for long life, maximum compatibility, and best-in-class read performance.